Great Forest National Park needs your pledge. Victoria is still far from having a comprehensive, adequate and representative national park and conservation system, and most major threats to nature identified in past reviews are still very much with us – habitat loss and degradation, invasive species, harmful fire regimes, over-grazing, modified water flows. Precious habitat remnants are being bulldozed for urban expansion or roads. Victoria is the most cleared state in Australia, populations of native birds and animals are in freefall, and less than 25% of our rivers and creeks are in good condition. 1. Conservation of near extinct wildlife and plants after Black Saturday and in light of future fire events. 2. Water catchments of Melbourne, LaTrobe and the Goulburn Murray systems. The largest area of clean water and catchment in Victoria. Food bowl and community security. 3. Tourism. This is Victoria’s richest ecological asset, but these magnificent forests have not yet been included in a state plan to encourage tourism. Our rural towns want and need this boost to tourism. 4. Climate. These ash forests store more carbon per hectare than any other forest studied in the world. They sequester carbon, modulate the climate and can act as giant storage banks to absorb excess carbon if they are not logged. The financial opportunity in carbon credits is significant and can be paid directly to the state when a system is established federally. 5. Places of spiritual nourishment. These magnificent forests have been described as a ‘keeping place’ by the traditional owners, a place to secure the story of the land and places of spiritual nourishment that we pass on to future generations. There should be no price tag on the value nature brings to mental health and spiritual well-being. 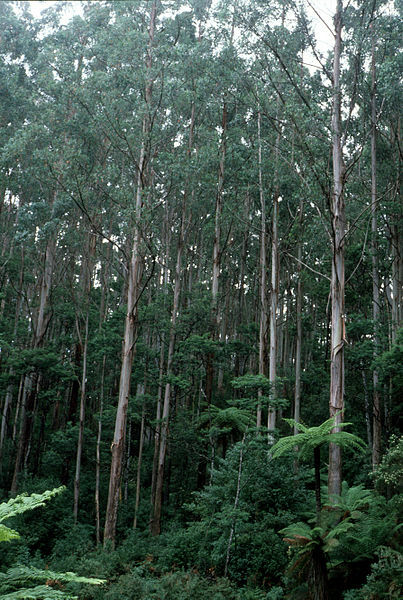 The tallest flowering trees on Earth grow north-east of Melbourne. In their high canopies dwell owls, gliders and the tiny Leadbeater’s (or Fairy) Possum. 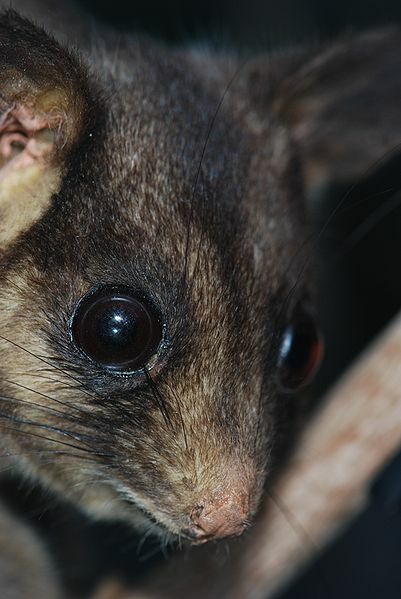 Victoria’s precious and endangered faunal emblem lives only in these ash forests of the Central Highlands. David Lindenmayer, from the Australian National University, is an ecologist and conservation biologist who has spent over 30 years studying the Mountain Ash Forest of Victoria. ‘There’s a little mixture of things that always want to have the last word. The Lyrebird is one and the Kookaburra is another and the Eastern Yellow Robin and the Pilot Bird are two others,’ he says. ‘The birds are calling less than in the morning, but still nevertheless calling, and they’re just confirming their territories before there’s an extraordinary change in the light in this long dusk period,’ says Lindenmayer. 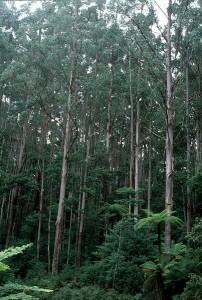 The Mountain Ash, and one of Australia’s most endangered mammals, the Leadbeater’s Possum, are threatened by ongoing clear-felling and bushfires. Home to threatened species, including Victoria’s animal emblem – the Fairy Possum, the proposed park will also be a sanctuary, providing real and lasting protection to some of Victoria’s, and the world’s, rarest plant and animal species. Prominent environmentalists Tim Flannery and Bob Brown have lent their support to the campaign. Sir David Attenborough has weighed into the state election, backing a call for the creation of a Great Forest National Park to protect the state faunal emblem, the Leadbeater’s possum. The environmentalist’s intervention comes as a survey found 89 per cent of Victorians support the creation of a new national park in the Yarra Ranges and Central Highlands. Logging over many years had previously reduced the Leadbeater’s possum down to a fraction of its original range and now only around one per cent of mountain ash forest is old growth. 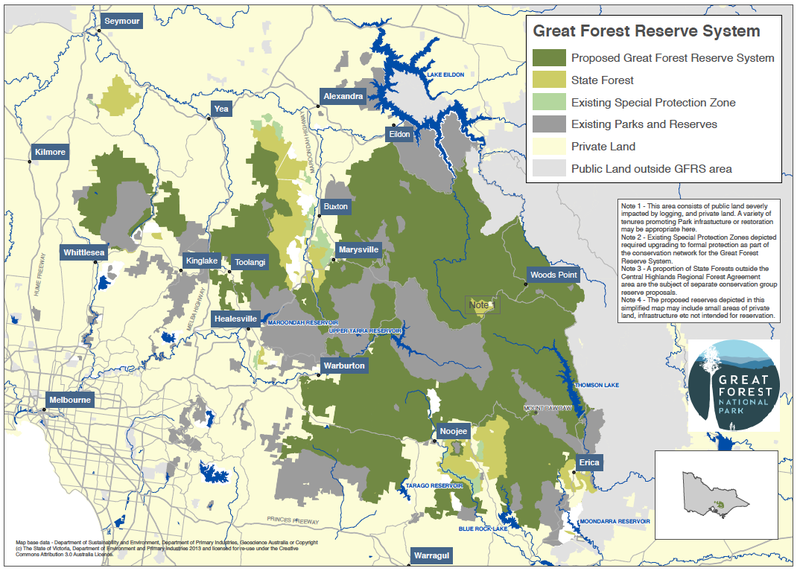 A new ‘taskforce’ attempts to negotiate the future of the logging industry in the central highlands of Victoria and the possible creation of the new national park, in light of the critical status of Leadbeater’s Possums. 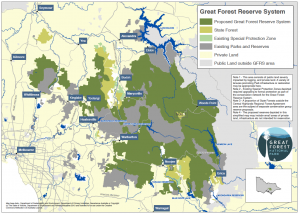 The state government — elected in November — has so far made no official commitment to the proposed 355,000-hectare Great Forest National Park, which would include both recreational areas and conservation zones. The good news is that the Victorian Government has given its strongest indication yet that it is open to ending clearfelling and closing down the hardwood timber industry in key parts of Victoria’s Central Highlands to prevent the extinction of the Leadbeater’s Possum. ‘The time for further reviews and studies is over. The only thing that will save Leadbeater’s Possums from extinction is to immediately stop the clearfell logging of the forest it lives in,’ Greens Senator Rice said. 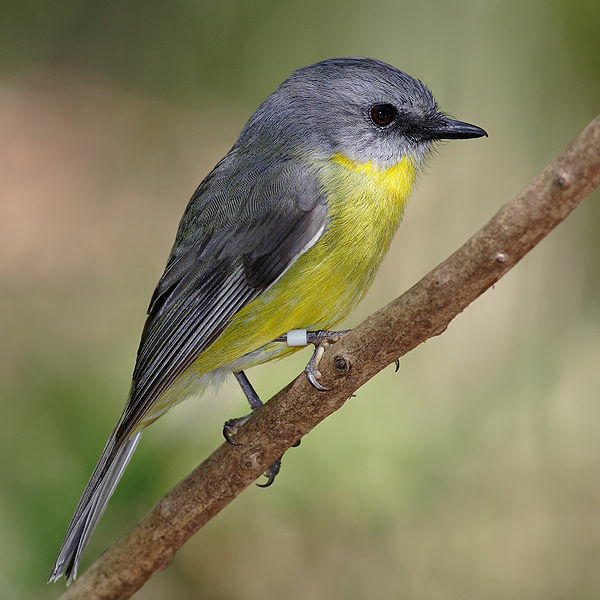 tagged with David Lindenmayer, Eastern Yellow Robin, faunal emblem Victoria, Great Forest National Park, Leadbeater's Possum, Mountain Ash Forests, threatened species, Yarra Ranges and Central Highlands. Two new long distance ‘sea to snow’ trail proposals – ‘The Yarra Way’ and ‘The Many Peaks Track’- have the potential to link Melbourne with the Great Forest National Park and beyond (details from me at jandemosley@bigpond.com). I’m using Ubuntu – latest version. Is that what you mean?